Straws, plastic wrap, single-use coffee cups, oh my! If you’ve ever felt overwhelmed by the amount of packaging you bring home from the grocery store, or just wish you could adopt a new habit that would show your mama earth a little love, this is the challenge for you. Commit to making a change in your routine that will have a positive effect on the planet, and use your people power to inspire your friends and neighbors to do the same. Real change is possible when we take individual and collective action to protect our planet. Choose one plastic item you regularly buy or use (straws, to-go containers, plastic grocery bags, etc.) and commit to replacing it with an earth-friendly alternative. Plan a party with friends, family, or neighbors that does right by the environment. Organize an event that is low—or, if you’re up for it, no—waste. You’ll show that there’s nothing “disposable” about celebrating with people you care about! 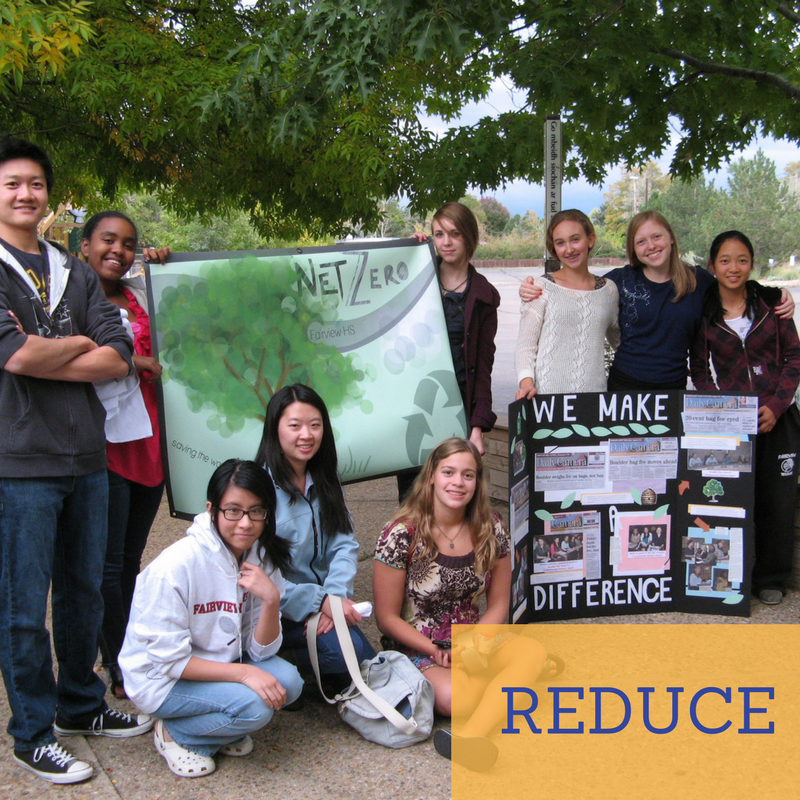 Want to reduce waste on a larger scale and start a community-wide effort? Whether you want to free your community from plastic grocery bags, bottled water, or other waste, host a meeting to get your team together and start mapping your action plan. We encourage you to complete the "Reduce Waste" challenge within an eight-week period; however, there may be different timing that works best for you, and that is OK! Please type in your choice(s) in the box below. Once you sign up, we'll send you a short email with everything you need to take action, including our very helpful Toolkit!